The line between traditional PR and marketing is fading. As such, new businesses can forget the power of comprehensive marketing and PR campaigns. But if you really want your business to take root, you need smart strategies that can effectively address both. Consider these facts when you’re developing your business’ marketing and PR strategy. Thanks to the omnipresent social media, marketing and PR have become a blurred line in the online sphere. As a small business owner, you’re probably on the hunt for hybridized solutions to save time and money. These solutions certainly exist, but entrepreneurs often make the mistake of assuming PR is an easy game thanks to the amount of exposure you can get online. While it’s true that the internet allows you to maximize your exposure on the cheap, PR still requires a certain amount of je ne sais quoi. Journalists receive hundreds of press releases a day, so prepare to employ your writing savvy. Just as a good sales pitch requires a hook, your press release should, too. Unveiling a new company product isn’t worthy of a story in the Wall Street Journal – unless, of course, your company is Apple (and if it is, you have the money to hire people to do your press releases for you). A journalist should know exactly why a story is important, so spell it out in the first few sentences. Because our marketing and PR strategies have become so reliant on social media, your company is always in the public eye. It only takes a few hours to go viral, and this can go either way: you could be complimented for your unmatched customer service, or one complaint can send you the way of Blockbuster and Colgate frozen meals. For a case in point, look no further than the popular media service Netflix. If you were a subscriber in the early 2010s, you probably looked forward to a cheery red envelope in your mailbox, promising you unlimited entertainment for $7.99 a month. Then, this bastion of binge-watching threw a monkey-wrench into its operations and into the hearts of Americans nationwide. Without warning, it began splitting the membership into two different features, one for digital streaming and other service, Quikster, for DVDs. The public reaction was swift, and it wasn’t pretty. 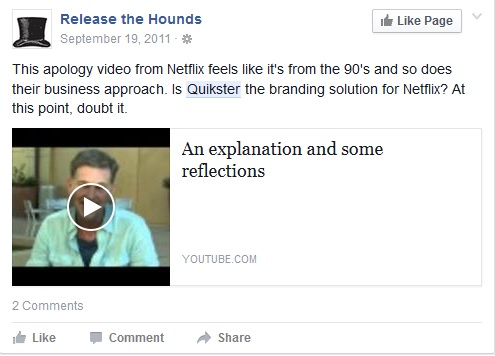 By the time Netflix backpedaled and revoked its separate service idea, the damage was done. 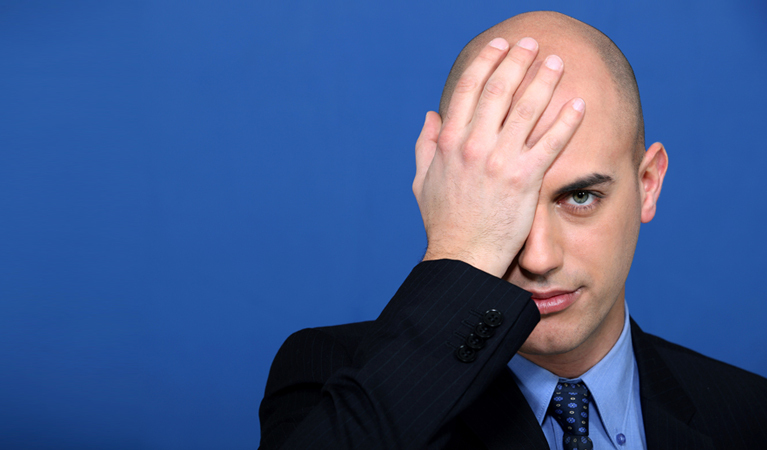 What lessons can we learn from the PR/marketing faux pas? 1. Be transparent. Netflix was never completely up front about why it was splitting off from traditional services. By the time it reached out to soothe the wounds, it had already lost the trust of its customer base. If you were in the wrong, admit it. Issue an apology as soon as possible. Don’t try to deny or work around. Be contrite, and specifically state what you did wrong. Take necessary steps to make sure it doesn’t happen again. In today’s fast-paced world, your reputation can change at the speed of technology. Always be aware of what your company is saying online. Tracking your social media metrics can also help you address problems as they happen. It’s tempting to hold your marketing and PR operations under the same umbrella, but these need to have distinct qualities. When you’re starting out, it’s okay to hire a jack-of-all trades business whiz to handle both, but when your budget grows, consider onboarding separate gurus and holding them to different budgets. Why? Each discipline requires nuance that can save (or cost) you money. A marketing plan should be focused on targeting potential customers. It focuses more on analyzing your user metrics and fine-tuning your niche in the industry. Public relations, by contrast, is how you communicate those niche ideas to your target demographic. If you enlist one team to handle both of these goals, you risk your ability to stand out. In today’s business world, distinct branding is more important than ever. Thanks to the rise of social media and the entrepreneurial spirit, competition is fierce. You run into an attractive specimen (man, woman, etc.) at a party. You go up to this person and exclaim, “I’m rich! Marry Me?” That’s marketing. You’re socializing at a party and spot an object of attraction. You get up, do a once over in the mirror, smooth the wrinkles in your clothes, and surprise this person with a drink. After you extend a ride home (opening all of the doors and oozing charm), you say, “Oh, by the way, I’m rich. Marry me?” That’s public relations. What this comparison is meant to teach us is that PR focuses on building a distinct message that appeals to your target. Its principle goal is to paint you as a trusted authority worthy of recognition. As an entrepreneur, you don’t want to be in the business of bulldozing through your marketing and PR campaigns. Use PR to sell a lifestyle and marketing to determine who you’re attempting to sell that standard to. As convenient as it’d be to have a batch of journalists at your beck and call, this probably doesn’t apply to you. Unfortunately, willing it to be won’t get bloggers raving about your brand. Although it may be taxing, you’re the one who needs to chase leads. But to ensure you’re actually chasing leads and not just your own tail, strategize how you’re going to pursue press. Search through LinkedIn accounts to connect with journalists whose interests match your product or service. MuckRack (a clever twist on a term used to describe journalists who exposed corruption in business) can connect you with journalists and bloggers for a small monthly subscription fee. If you’re ready to reach out to the press, check that you have something worth reporting. Did you get enough funds on Kickstarter to launch your new business? Just because that’s newsworthy to you doesn’t mean the general public will respond in kind. On the other hand, if you’re ready to launch your company (whether it’s a brick and mortar restaurant or an ecommerce store), that’s something worth seeking coverage for. To effectively manage your PR and marketing campaigns, approach your ideas with a can-do attitude and a healthy dose of common sense. You stake a great deal of your reputation online, so always be conscious of your presence on social media. Exercise good reputation management skills, and seek out the press when it won’t come to you. PR and marketing aren’t exactly rocket science, but you should still rely on distinct budgets to help you address both.